Season: Recommended to cycle out of the main tourist season due to much traffic July-September. Tip: Bring ligths as you pass through multiple tunnels. 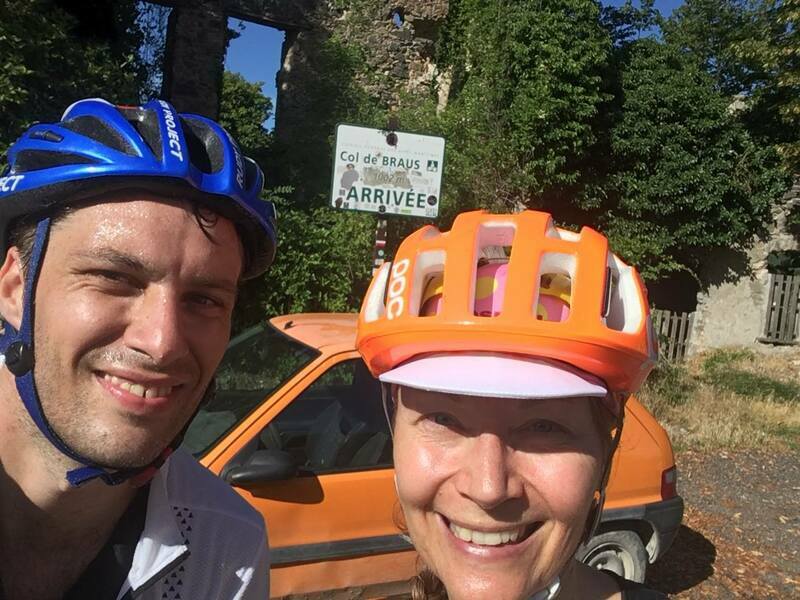 Cycling through 3 countries in one day-ride you could also call this ride. 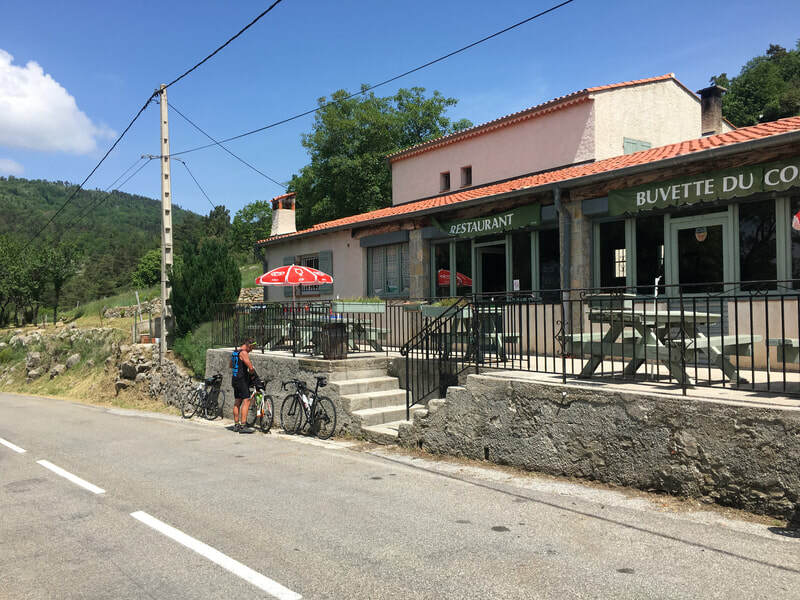 Or the 3 carbonloading C's-tour: Croissant in France to load your energy in the morning, a Cappucino in Italy after a pizza slize when you hit the village café in Dolceaqua and finish off with a glas of Champagne on a fancy bar terrasse in Monaco before heading back to Nice. 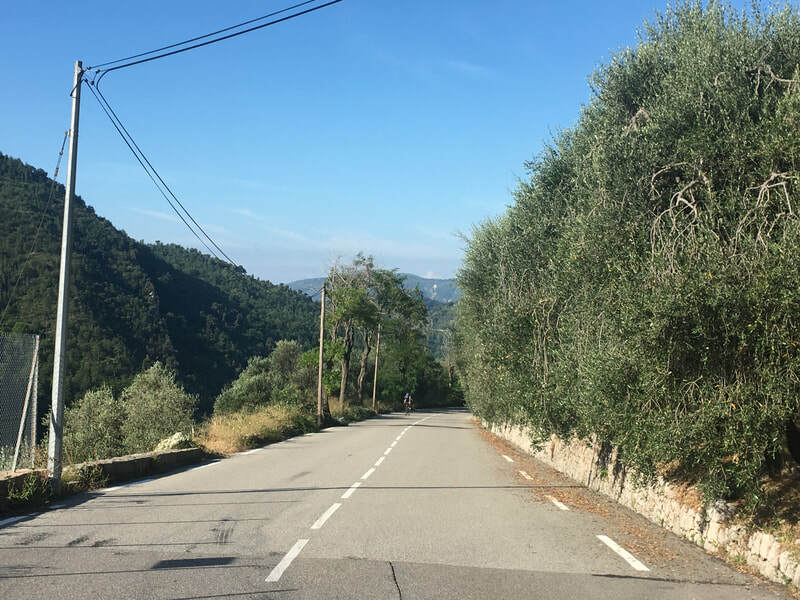 This ride is one to do in the winter or spring months, when the roads near the seafront are not overly crowded and the temperatures in the mountains are still a bit on the cold side. 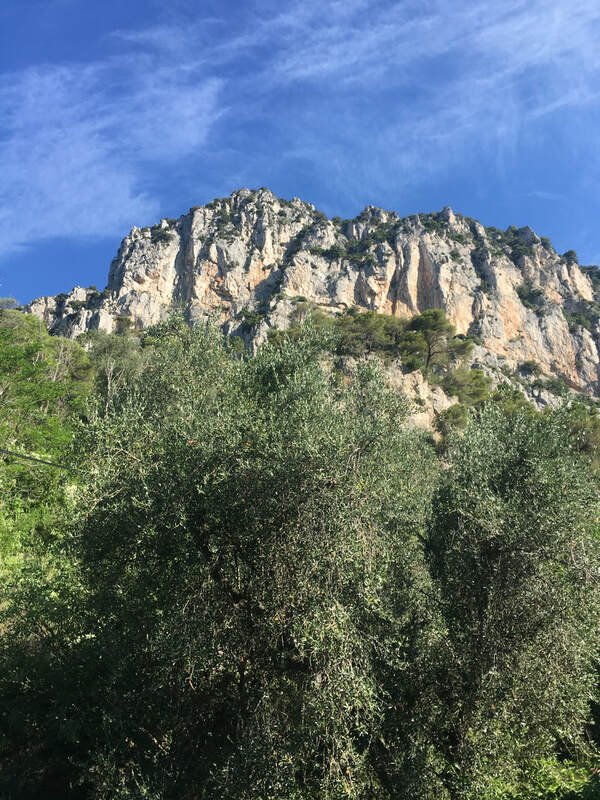 You can find your way quite easily by following the coast road all the way out of Nice, through Villefranche-sur-mer and the other small places to Monaco. 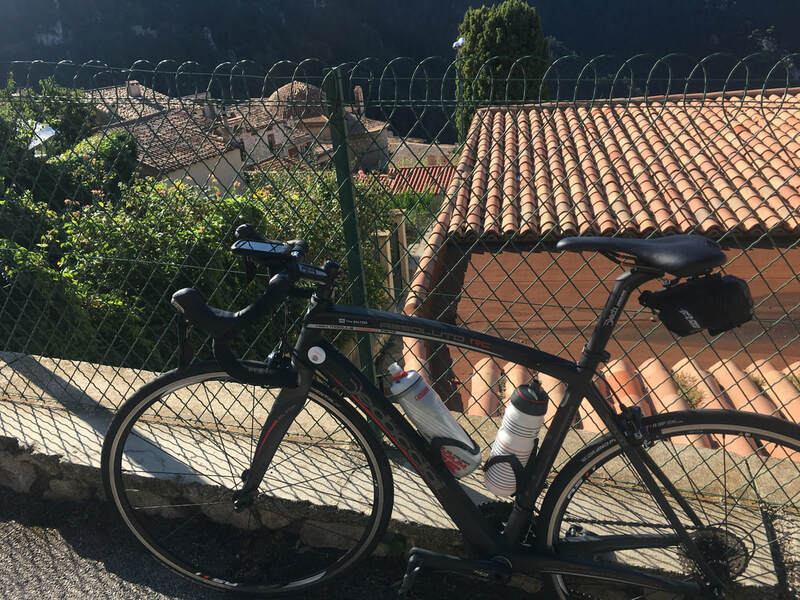 Monaco can be tricky, I recommend cycling through on a weekend or out of rush-hours as traffic can be intense. Look here for an easy way through Monaco to Menton. 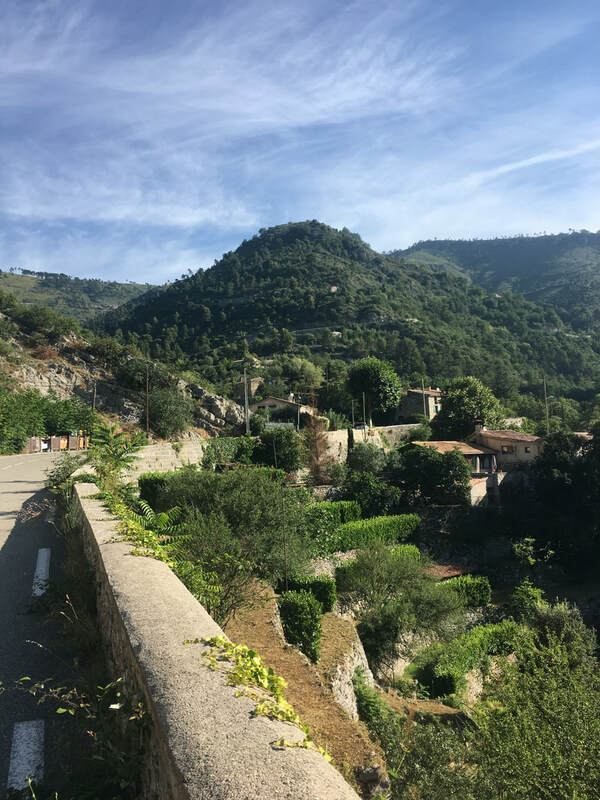 Once you are back in France at Roquebrune, follow the road to Menton and the seaside all the way to the Italian border. Cross it - while remembering to smile to the young police guys, who have to stand there all day, as you pedal through towards Ventigmiglia via the tunnel. 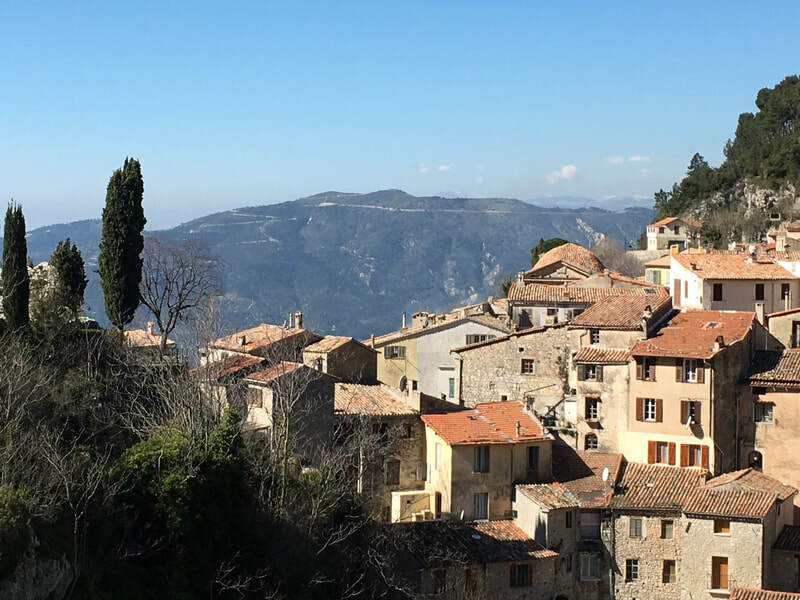 Ventigmiglia can be a point of return in itself - however if you pass through the town via the mainroad near the station, you only have a few kilometers to go, before you reach the pretty village Dolceacqua. Follow the road North when you reach a roundabout just out of the town - and follow the main road. 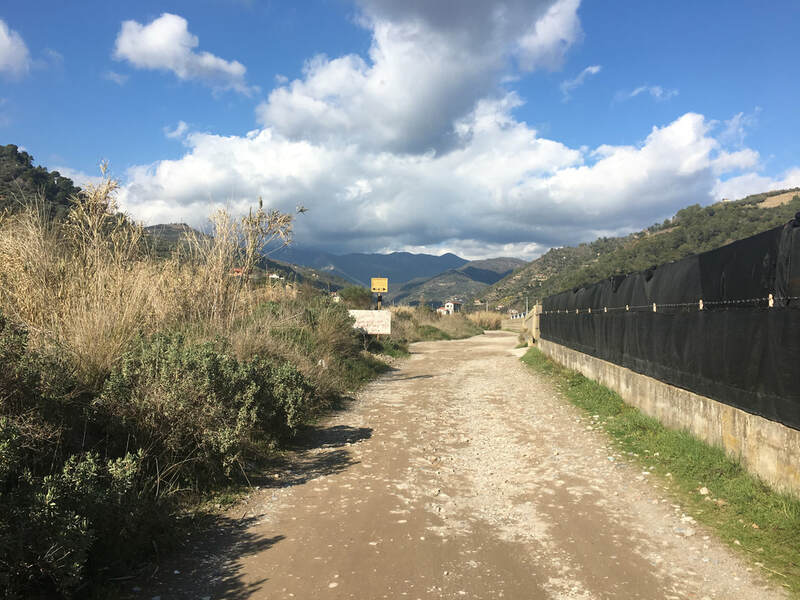 I once tried to follow the signs of a cycling path - finding myself after one kilometer or so on a gravel road in the industrial zone that was not really made for roadbikes! :-) Ciao Italia. In Dolceacqua time has in general been standing a bit still. One of our guides recently found probably one of the last physical phoneboxes still standing in the world. We are not sure whether it stills operates? You can pedal back the same way as you came, making it a nice flat pedal with some distance and rolling hills. Or you can discover the mountain roads around the area a bit further to dwell into the Italian mountainside before your return to France. ​Main routes: Nice Est, D2204, D2566, the coast road Menton/Monaco/Nice. Level of difficulty: Moderate. 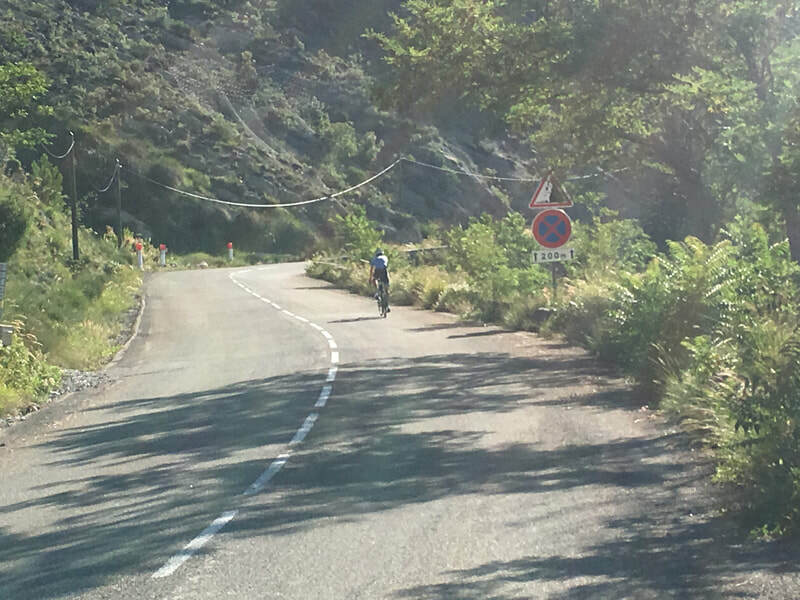 Col de Braus climb is 10 km starting in L'Escarène, 6,4% average climb, 15% max climb. Tip: The restaurant serves cold beer at the top! 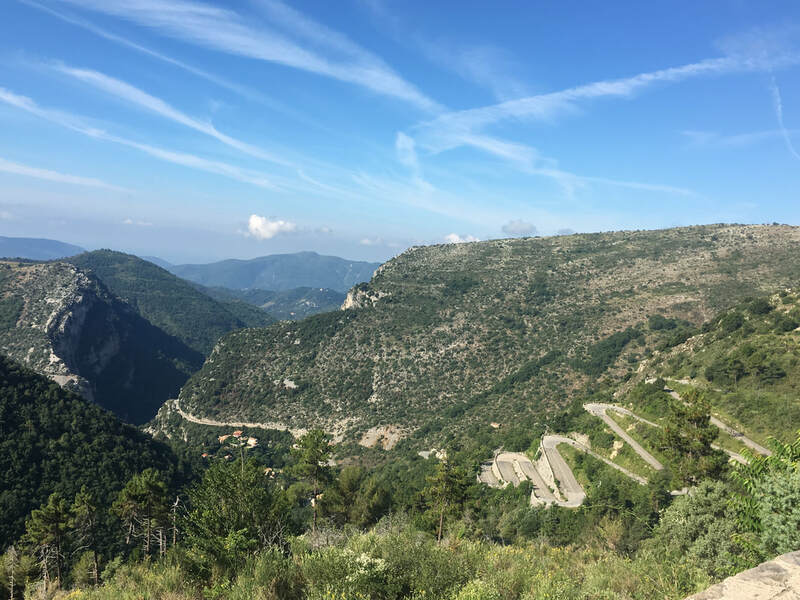 Col de Braus is less known by visitors to Nice, but very well known by local cyclists, as a beautiful climb that you can ride as the challenge it serves in itself or combine with some of the other legendary climbs in the area of Sospel or la Vesubie valley. 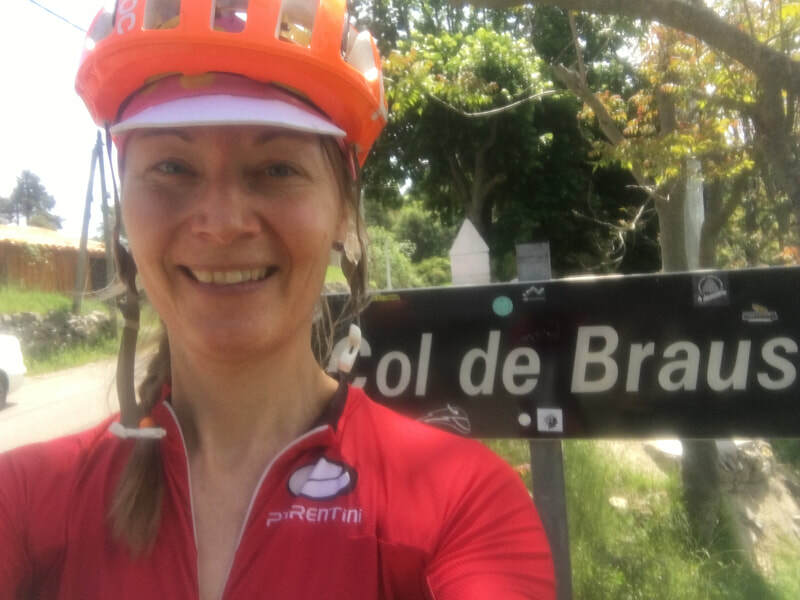 You can climb Col de Braus from L'Escarène or Sospel. Here, I describe departure from Nice and the L'Escarène side. 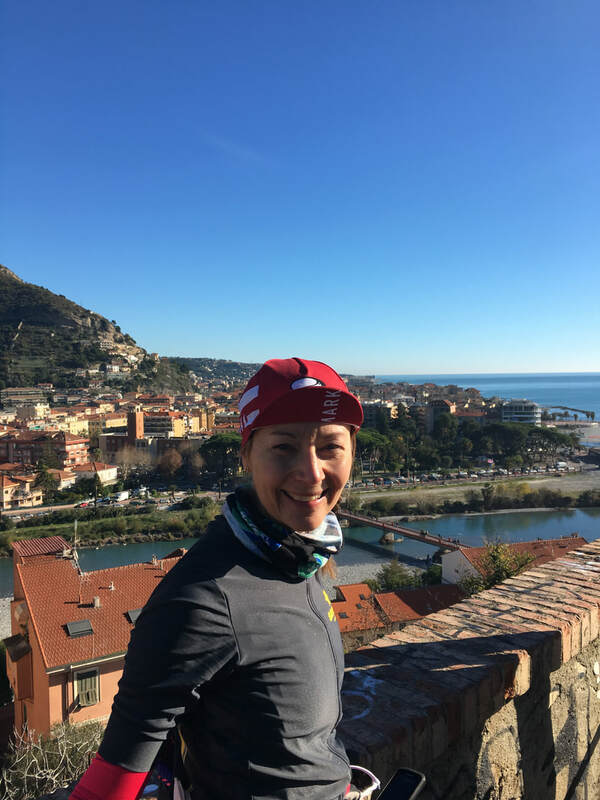 ​If you stay in Nice, you take off from town and find your way North-East towards La Trinité and Drap. I have described the way here until Peille. Instead of making a right turn towards Peille at D53 however, continue via the D21 towards L'Escarène. 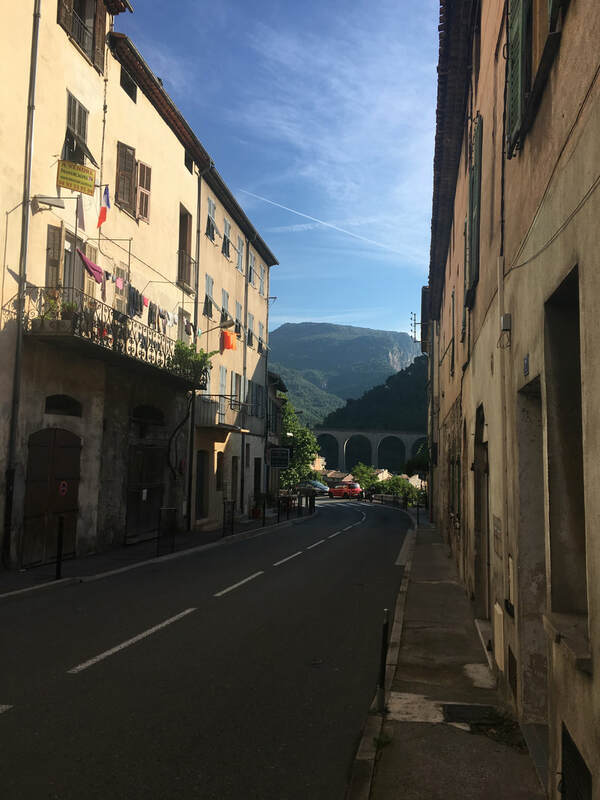 You will travel along Le Paillon on a magnificent road along the river. 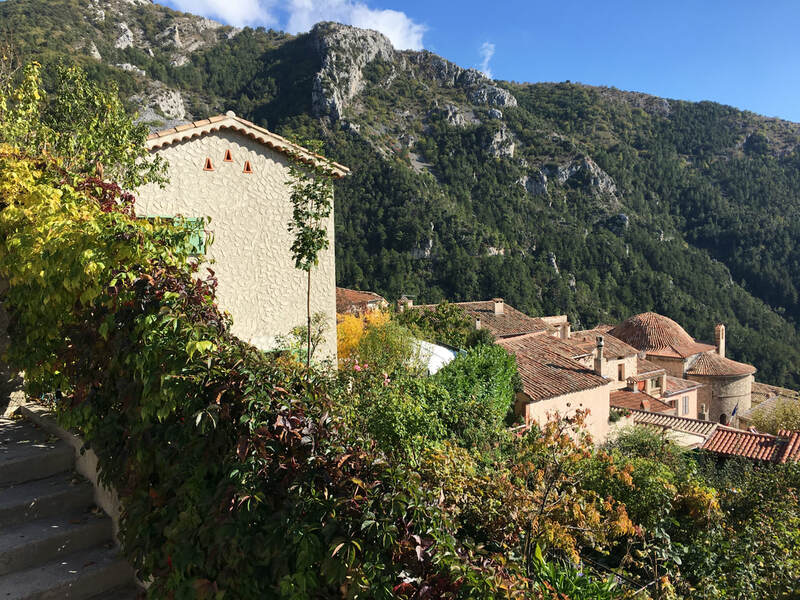 L'Escarène is an idyllic typical Provence small town. Make a coffee stop at one of the cafés and take a few minutes to enjoy its charm. L'Escarène dates back to the 11th Century and it grew during the times where the Salt Road was built connecting Nice to Turin. 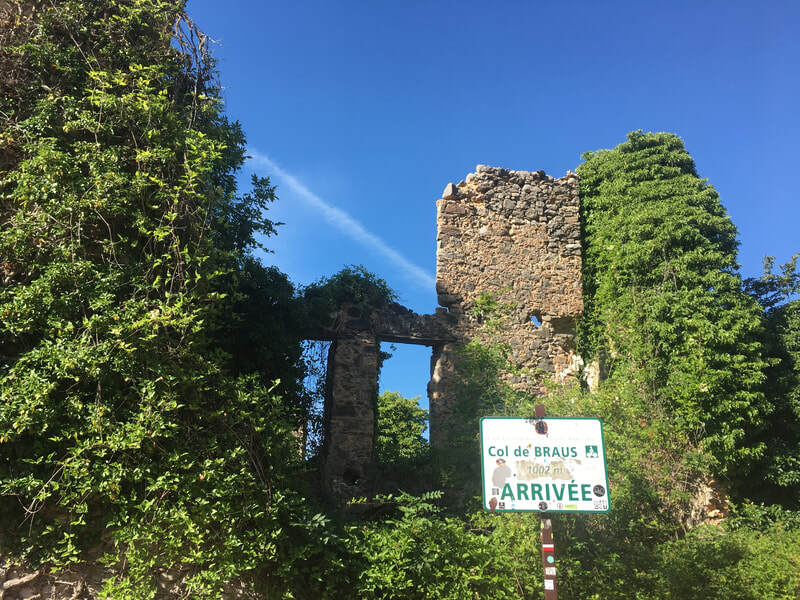 It was one of the villages to stop in for travelers along the new Royal Road that was important for trade of salt and other goods during the 13-15th centuries between the Alps regions and the Mediterranean. Still today anchovies are an integral part of the Piedmont cuisine as a result of travelers from Cuneo in Valle Maira in Northern Italy, who went to work in the Sea region and brought back salty small fish to their kitchens. 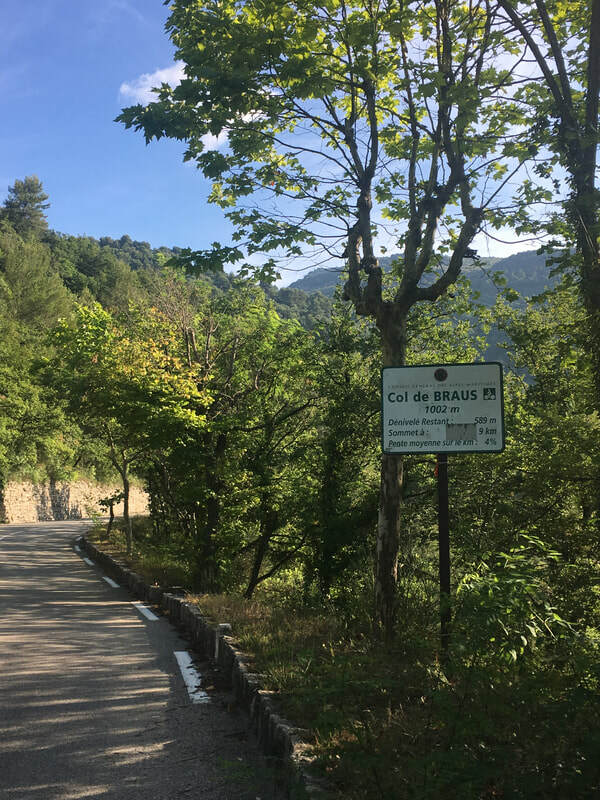 As you pass the bridge in L'Escarène, you start the climb to Col de Braus! The descend to Sospel is pretty as well. It is a bit technical however doable. 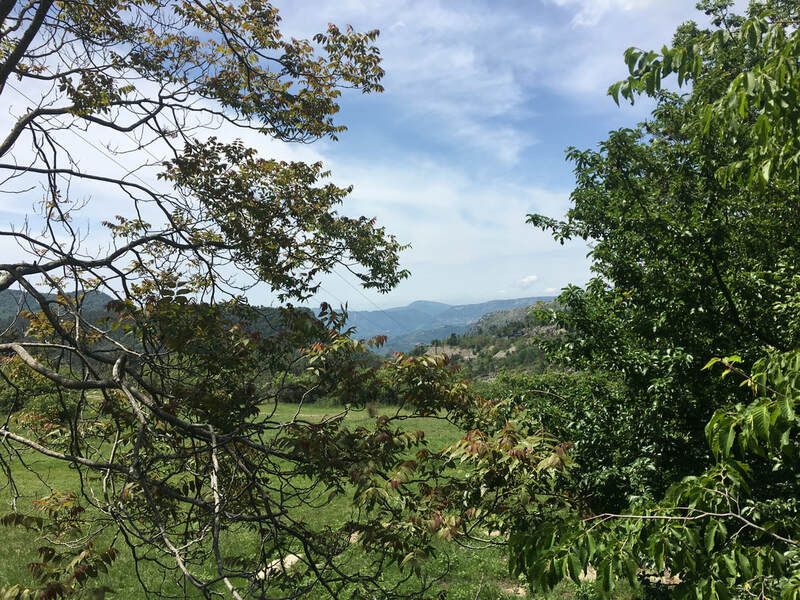 Sospel is another charming town where you also find good options for a coffee or lunch break. 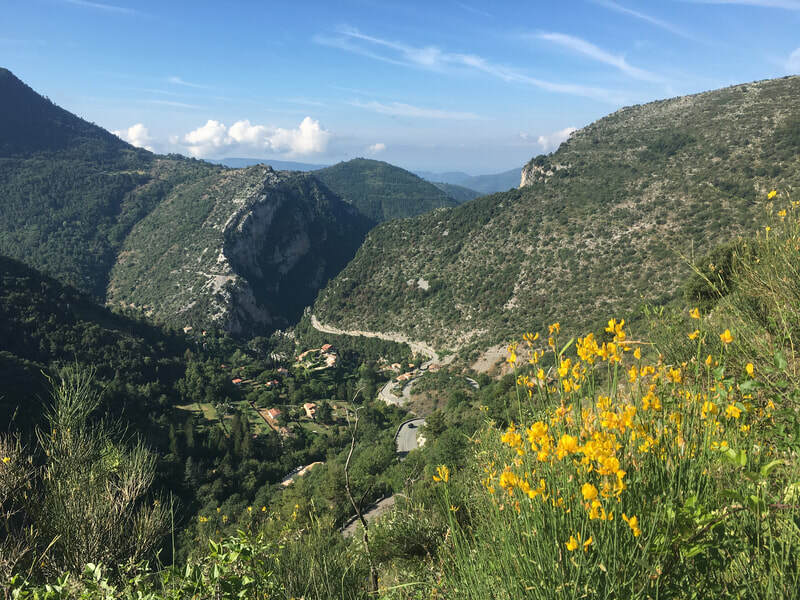 From Sospel out to the Sea front you still have a bit of rolling hills to climb as you follow the road to Menton. Follow the D2566. 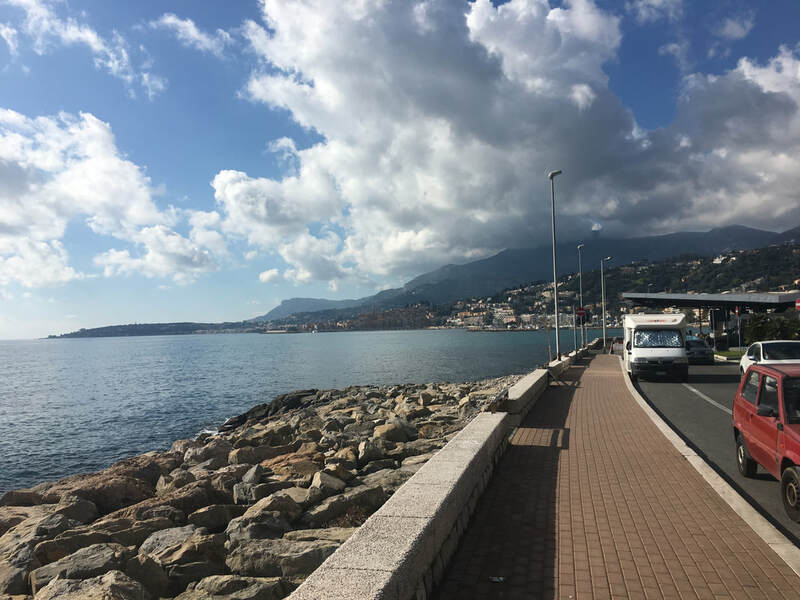 As you reach Menton all you have to do is follow the ocean road back to Nice. Ciao Ciao and happy cycling!